Comin' In Hot 2019 - Even MORE Artists Added! Check out Complete Country's Comin' In Hot 2019 - your EXCLUSIVE access to the future stars of country music! First up is Cale Dodds - the Georgia-born native who is making waves in country music with his animated vocals & killer songwriting skills! Be sure to check out his current single, "What We Gonna Do About It" - co-produced by Tyler Hubbard of Florida Georgia Line! Now signed to Warner Music Nashville, Cody Johnson's lyricism, country boy twang and stage presence have landed him comparisons to Garth Brooks! He also just released his new album, 'Ain't Nothin' To It,' that you won't want to miss! Saskatchewan native, Tenille Arts, has been picking up speed since the release of her critically acclaimed song, "Cold Feet." Since then she's released new music, and even performed on ABC's The Bachelor. Check out her current single, "Mad Crazy Love." Riley Green's traditional sound with a modern outlaw twist has really caught the attention of country fans across the globe. After releasing his current EP, 'In A Truck Right Now,' Riley hit the road for his OUTLAWS LIKE US headling tour across the United States. Lastly - the dynamic blend of gritty vocals, catchy lyrics and guitar riffs from Jimmy and Chrystal of Sons of Daughters, make them a band you'll want to keep on repeat! Check out their debut single, "Ain't Gonna Be Lonely Long." Tenessee native and country music outlier, Tucker Beathard made waves in the music industry with his debut single, “Rock On.” Since then he’s been writing the raw and uniquely fuelled album, ‘Nobody’s Everything,’ that you won’t want to miss! Up next is trio Runaway June, whose reinvention of three-part harmonies, along with their bluegrass-modern sound has catapulted them to the top! Their single “Wild West” hit Top 40 – and now they’re back with girl power anthem, “Buy My Own Drinks.” Check out their 'Runaway June' EP! The Hunter Brothers – made up of 5 brothers from Saskatchewan – have 4 CCMA nominations, an opening slot on The Journey Tour, and a new album, “State of Mind,” available now! You’ll definitely want to keep these guys on your radar in 2019! Steve Moakler has tons of writing credit to his name, having written songs for Reba McIntire, Jake Owen and Dierks Bentley! Now he’s back with his own music – and we LOVE it! Check out his current album, ‘Born Ready’! With almost 6 million streams to date, you’ll want to watch for Shawn Austin in 2019. He's been on the road with Dallas Smith, and has also opened for Chris Lane and High Valley. Check out his new self-titled EP here! Lastly on Part 3 of Comin' In Hot 2019, we've got Morgan Wallen. Famous for his tune, "The Way I Talk," Morgan is back with his new single, "Whiskey Glasses," along with a new tour and even select dates with Florida Georgia Line. Jade Eagleson won the 2017 Emerging Artist Showcase at the Boots and Hearts Music Festival, and has been ON FIRE ever since! Check out his debut tune, "Got Your Name On It." Next up is Jimmie Allen, who scored himself a Number 1 hit in 2018 with his debut single, "Best Shot." Jimmie also released his debut record, 'Mercury Lane,' that you won't want to miss! We just saw Owen Barney perform as part of the New Hot Nashville Showcase - and this guy is going places! Check out his debut single, "Letting Go." Steven Lee Olsen is an established writer in country music, having co-penned Keith Urban's "Blue Ain't Your Color." He's now back with more original music - here's "Timing Is Everything." Brother-sister duo, The Reklaws, had an insanely successful 2018 - and they're not slowing down! Their tune "Long Live The Night" was certified GOLD, and they released their new EP 'Feels Like That,' which gained them a JUNO Nomination. Watch the video for "Feels Like That" now! Walker McGuire's Jordan and Johnny have built a huge following, with their debut single "Til Tomorrow" racking up over 22 million streams! We can't wait to see what's next for Walker McGuire - be sure to check out their current tune, "Growin' Up." With a new Number 1 song for his single, "You Are," and his new record, 'V' - Aaron Goodvin is definitely Comin' In Hot in 2019, and we can't wait to see what's next! We can't get enough of Austin Jenckes! With a new single, "In My Head," along with his incredible vocals and brilliant songwriting, you'll want to check him out! Brandon Lay opened for Kenny Chesney on the Trip Around The Sun Stadium Tour, and we've been hooked ever since! Check out his current single, "Yada Yada Yada." East Adelaide - made up of Mike Robins and Andrew Mackay - have a unique country/rock edge to their music. We saw them perform their current single, "You Don't Get To Love Me," as part of the New Hot Nashville Showcase, and we can't wait to hear more music in 2019! Country music powerhouse, Kassi Ashton has been making waves in the country music industry with her raw songwriting and strong vocal talent. Check out her new tune, "Violins." Lastly, we've got Ryan Langdon who has been garnering huge support from fans across the country! With his powerful country vocals, and relatable songwriting, he's one to watch in 2019! Here's his current single, "Leave Me Right." 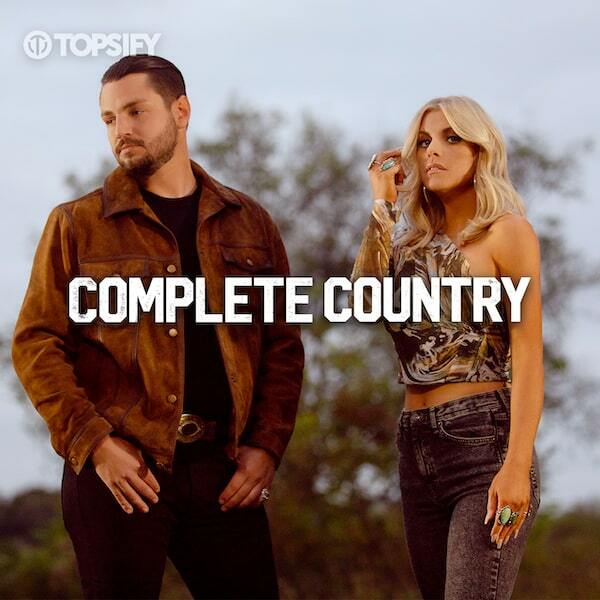 LISTEN to your favourite country artists on the Complete Country Playlist!